In the near future, advanced technological developments have allowed one’s mental state and disposition to be quantified and profiled. For the public’s welfare, all emotions and thoughts are documented and managed by the Sibyl System. 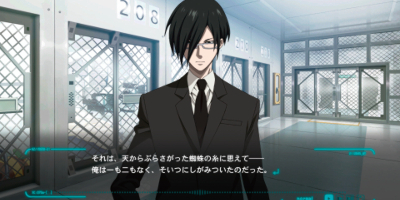 This system measures the quality of each person’s life by what is known as the Psycho-Pass, a reading of an individual’s mind. 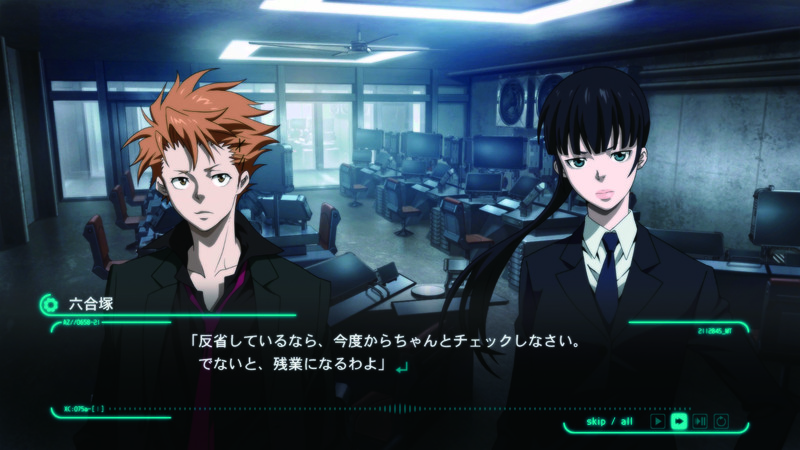 Broken down into two main components, the Psycho-Pass is the system’s omniscient eyes of justice. One of these components is the Hue, which is a visual representation of the Psycho-Pass that conveys a person’s stress level. The other is the Crime Coefficient, which is a numerical value that represents a person’s criminal capacity. This number determines whether an individual requires enforcement by the detectives of the Public Safety Bureau. Detectives are divided into two groups: Enforcers, who are tasked with the investigation of crimes and the apprehension of criminals, and Inspectors, who are charged with managing the Enforcers. 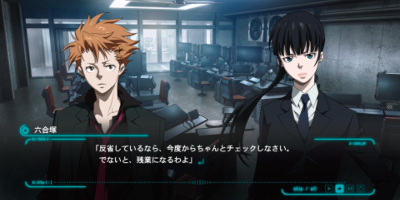 The player can choose between two new detectives assigned to the Criminal Investigation Department’s Division 1; Nadeshiko Kugatachi, a calm and serious Inspector whose memories were wiped, and Takuma Tsurugi, a hot-headed Enforcer who is searching for his missing childhood friend. You must decide the best course of action for each given situation, but regardless of the hierarchy that separates Inspector from Enforcer, players must be mindful that every decision has its own repercussions. 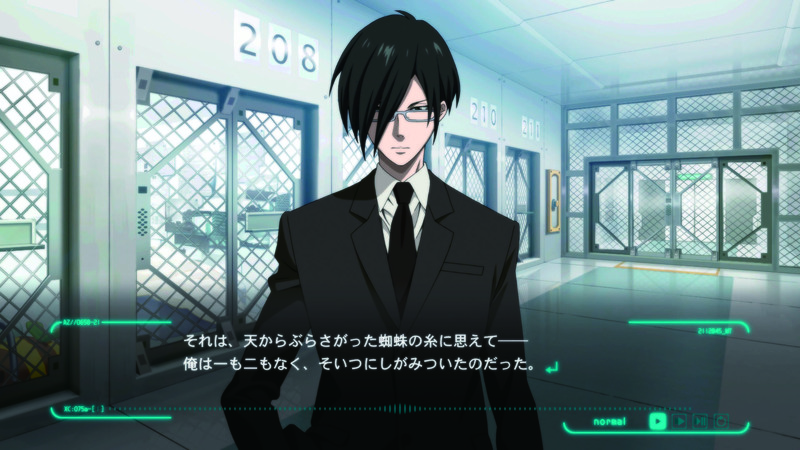 With an intricate decision-making system, PSYCHO-PASS: Mandatory Happiness offers a twisted plot and compelling cases, providing a number of different endings. Ultimately, depending on the choices made, Hues may deteriorate beyond recovery, cases may be left unsolved, and the game may end quicker than expected.